Fresh from opening its popular Nexus 7 tablet up to a bunch of new international markets, Google is said to be just six weeks away from launching a 3G-compatible version of its tablet device, according to Paul O’Brien at MoDaCo. O’Brien cites a “well placed insider” who informed him that Asus, Google’s manufacturing partner, is cranking up its efforts “in preparation for [3G device] launch in around 6 weeks”. While the speculation is entirely…speculative at this stage, the rumor stands to reason and would make a great deal of sense for Google. 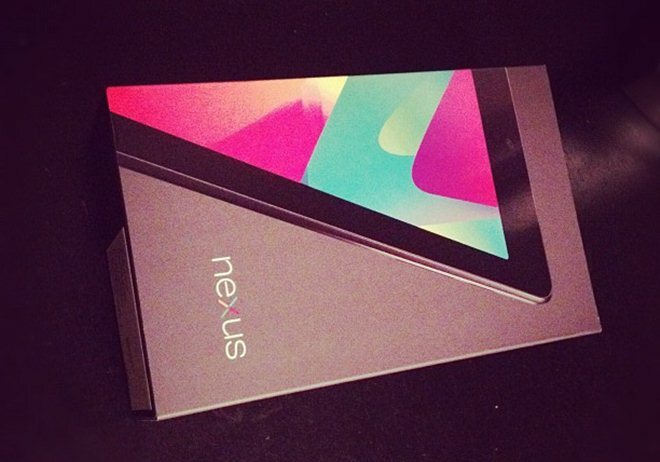 The Nexus 7 tablet has sold well since its debut in June. Indeed, last month, analysts predicted that the company could sell up to 8 million units by the end of 2012, that’s more than double the number the search engine giant predicted. One of the main pieces of feedback from reviewers and early adopters has been the Nexus 7’s lack of 3G connectivity. Indeed, adverts have drawn mixed responses for showing the device being used closed to homes but in outdoor settings. Clearly adding 3G, and indeed any kind of cellular connectivity, would make the device all the more usable and appealing in the US and other markets worldwide. At this point it is suggested that this would be the sole change, with no other hardware tweaks; there’s no mention of LTE. Google seems unlikely to go down the carrier distribution/partnership route, so — if O’Brien’s insider proves correct — any 3G device would likely be sold unlocked, giving both customers and Google total flexibility. That lack of comment is hardly surprising given the nature of the claim, but we can assume that the company is preparing some kind of renewed push given the activity its rivals are expected to make in the coming months. Indeed, the timing of this rumor is interesting since both Amazon and Lenovo have announced recently that they will be releasing improved devices shortly to take on the Nexus 7. Amazon’s Kindle Fire is expected to be announced later this week and there’s rumors that it will have 3G connectivity — making it a strong competitor to the Nexus 7’s current grip on the shrunken tablet market. Both are flanked by Lenovo’s IdeaTab 7-inch device, which also has the ability for 3G data. Of course, there is also speculation that Apple is planning on announcing its own 7-inch mini-iPad soon.